Day trip with friend and photographer, Alan Cressler, to a unique site in North Carolina for an exceedingly rare wildflower: Shortia galacifolia var. 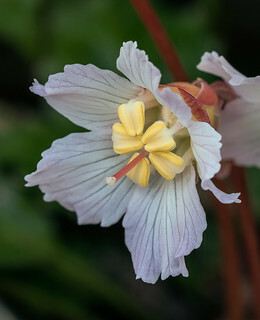 brevistyla or Northern Oconee Bells. For the full trip report, please go to Jim's Blog.